Africa Albida Tourism: www.africaalbidatourism.com A high end Southern African tourism operator with hotels and lodges, restaurants and parks in the region’s foremost tourist destinations with Victoria Falls as the hub. African Encounter: www.africanencounter.com Offer overland and backpacking tours of Zimbabwe for groups of three or more. Experience Africa Safaris: Based in the Mount Pleasant suburb or Harare and highly recommended for country-wide tours. Natureways Safaris: www.natureways.com Leading mobile safari operator in Mana Pools National Park and on the Zambezi River. An owner operated company specialising in walking and canoeing safaris. Varden Safaris: www.vardensafaris.com Give safaris a twist by going horseback. This agency specialises in horse safaris around Harare. Have a recommendation for a good safari tour operator in Zimbabwe? Let us know. 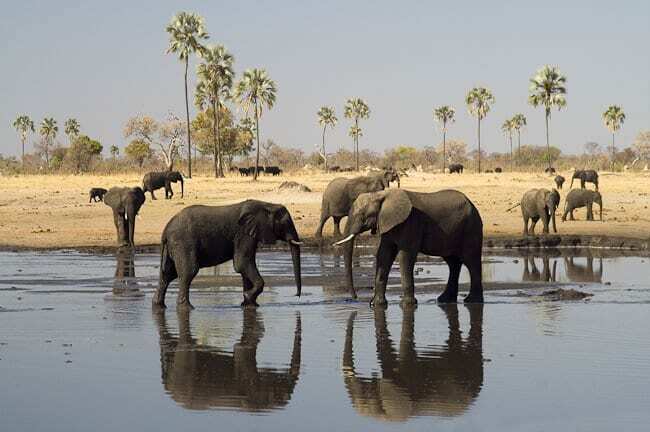 View safari companies in other Africa countries or read our reviews of Zimbabwean national parks.